-"Nearly 1 billion people don't have safe water to drink. -A child dies every 15 seconds from a lack of clean water. -115 people die every hour from diseases linked to poor sanitation, poor hygiene and contaminated water. -1 in 4 children who die before age 5 worldwide, die of a water related disease. -Children often walk miles every day to collect dirty water to drink. -Water related illness kills more people each year than wars and conflict. clean water, poverty is inevitable." 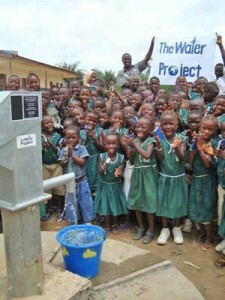 < 3 lets help change these peoples lives by bringing them clean drinking water. 08/09/11 Ashley DeCamp $5.23 E coli is not fun. More clean water please.